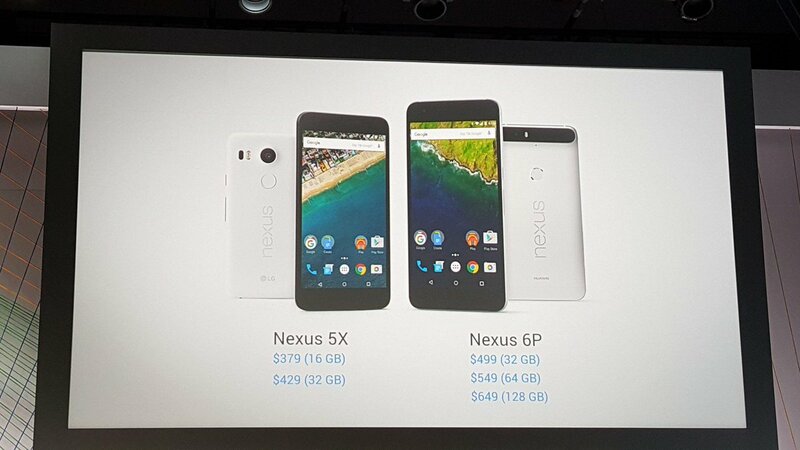 Well we have been talking about the forthcoming line of Nexus devices for a while now. There has been no shortage of rumors and images. 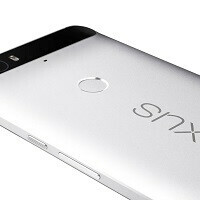 What is noteworthy of this generation of Nexus smartphones is the introduction of Huawei into the fold of partnered manufacturers, with a 5.7-inch smartphone, expected to be called the Nexus 6P. LG returns this year with a second Nexus device, the first time two smartphones have been offered as part of the Nexus line. LG’s device, the Nexus 5X, will feature a 5.2-inch display. Last year’s Nexus 6 from Motorola has been well received, but one of the sticking points with critics was its large 5.96-inch display. Despite all its other strengths, it was just too big for many people. LG’s return with a more reasonably sized device will fix that issue no doubt. Both new devices will feature fingerprint sensors and dual front-facing speakers, though they will not share much common design cues. With the announcement of the new Nexus devices will also come the official presentation of the newest version of Android 6.0 Marshmallow, featuring Android Pay. While Android Pay has already launched, now we will have a timeline when the OS upgrade will be available to the masses. 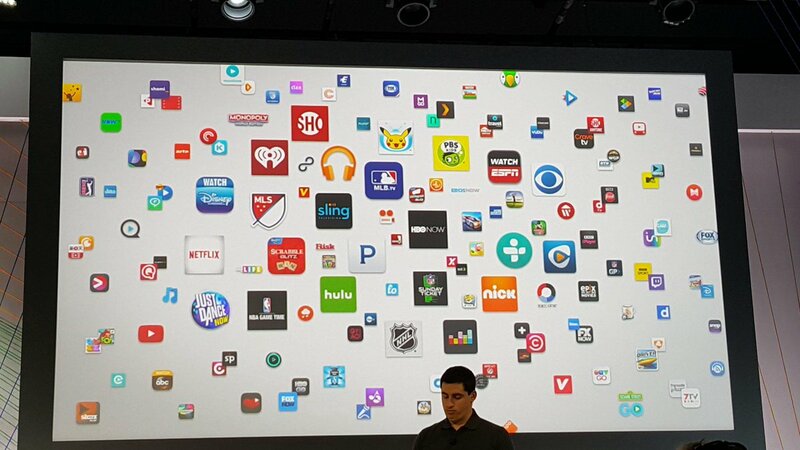 All that, and much more will be covered in our liveblog coverage of the announcement here in San Francisco. 12:17 We will get some hands-on time with the new Nexus devices. 12:15 Will be available in time for the holidays. 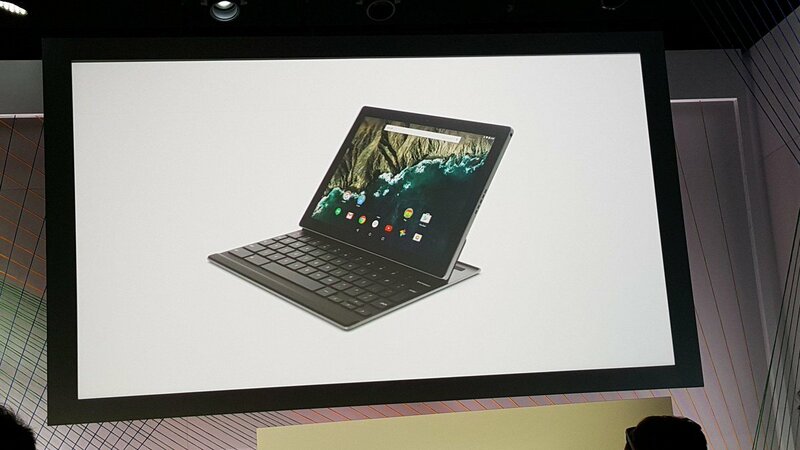 12:14 The Pixel C runs Android 6.0 Marshmallow. 12:13 The display is 10.2 inches with an aspect ratio of 1:square-root of 2. 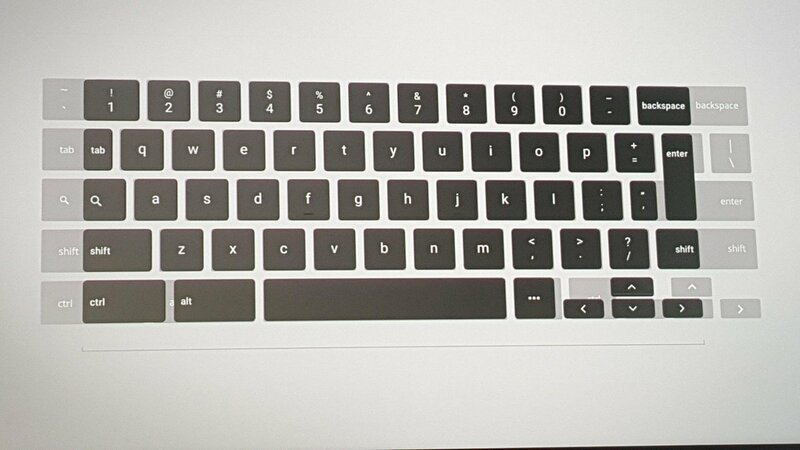 12:12 The keyboard is full size, but better contained. 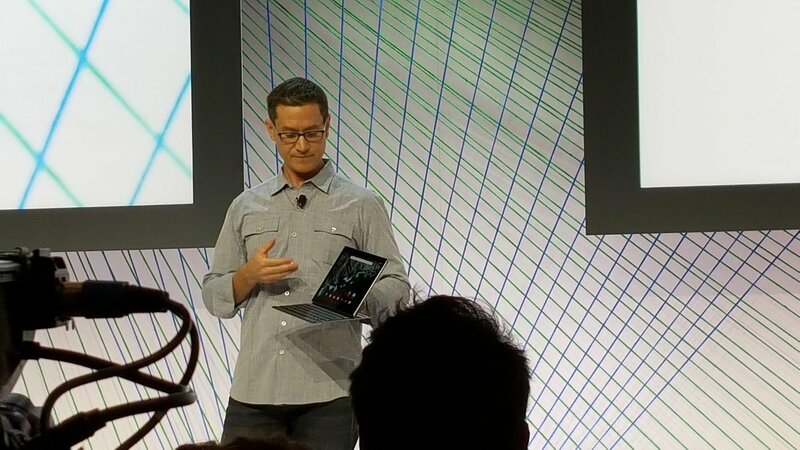 12:08 Now for a "sneak peek" at something else Google is working on. 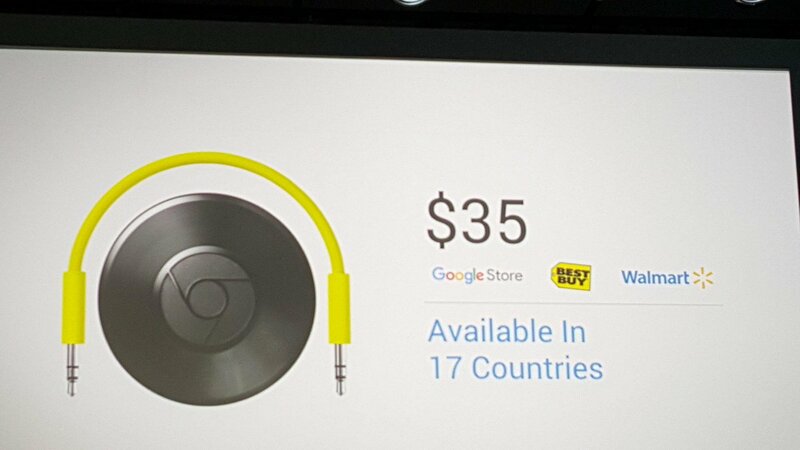 12:07 Chromecast Audio is available starting today for $35 in the US and 17 countries. 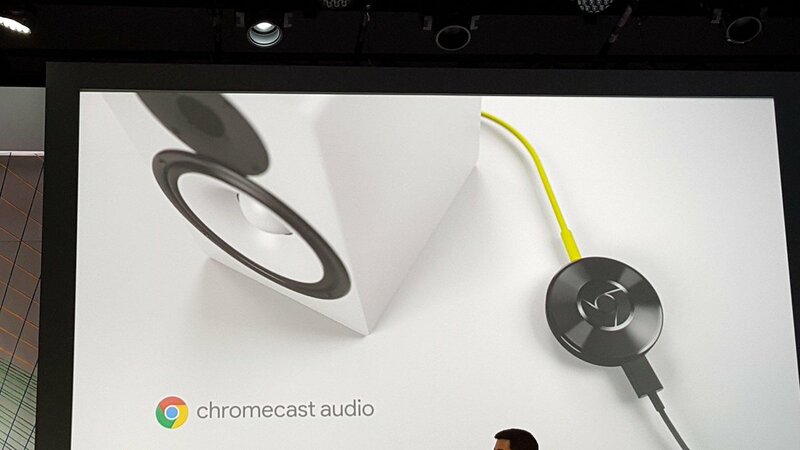 12:04 Chromecast Audio streams high quality audio directly to the speaker without wearing down the smartphone's battery. 12:02 The new Chromecast is available for just $35, starting today in the Google Store. 12:01 Multi-player is supported too. 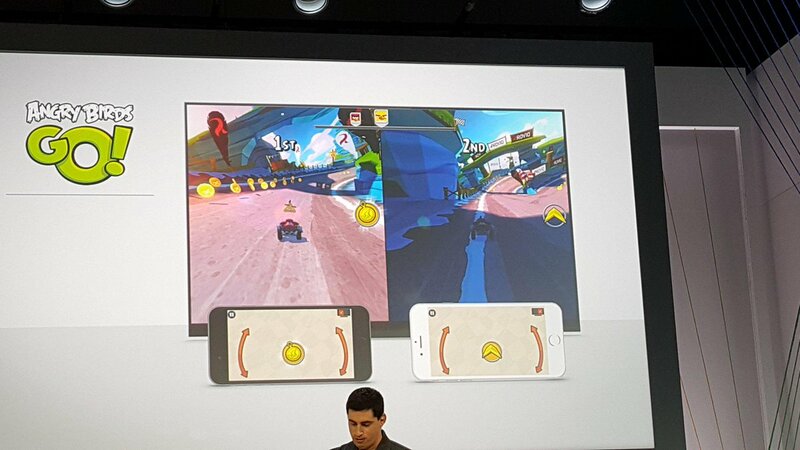 12:01 The game uses the entire TV, while the phone maintains the controls of the game. 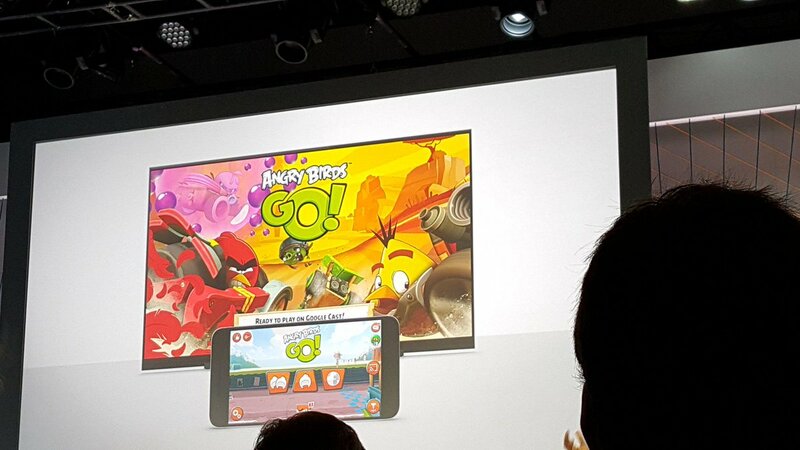 11:59 Chromecast has a role to play with gaming too. 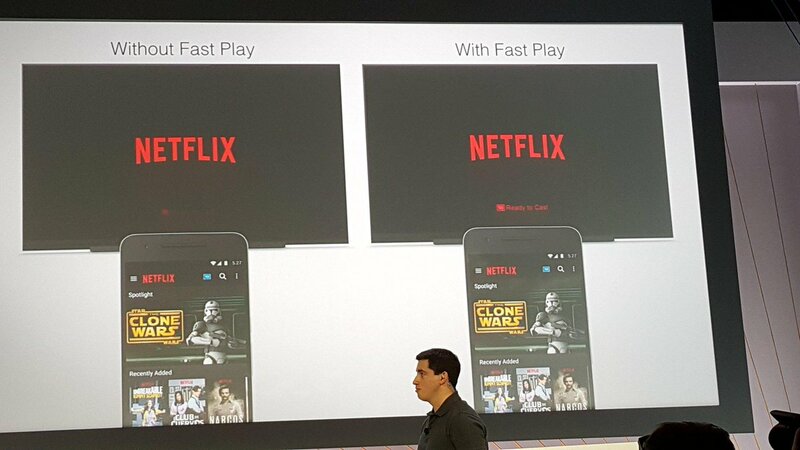 11:58 One of the challenges with streaming dongles is streaming time - now Chromecast features "Fast Play." 11:57 You can search for content through the app the way you would use any other Google search. 11:56 Playback controls are part of the app now as well. 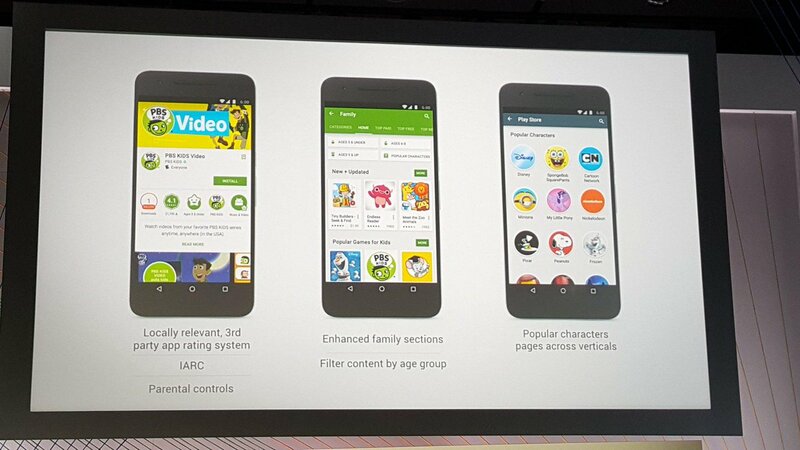 11:55 Content discovery links only with the apps you have, so it doesn't suggest content you don't have access to. 11:54 To do that, the Chromecast app has been completely redesigned. 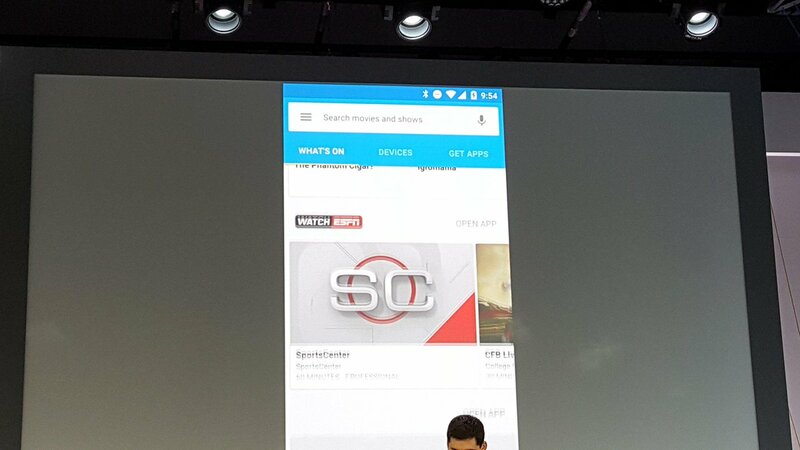 11:54 Chromecast will also feature "Content Discovery." 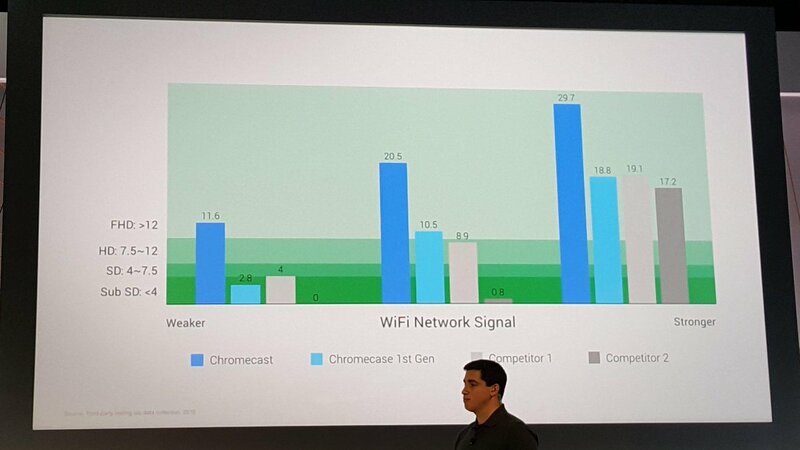 11:51 Dual-band wi-fi, and improved Wi-Fi performance with the new Chromecast. 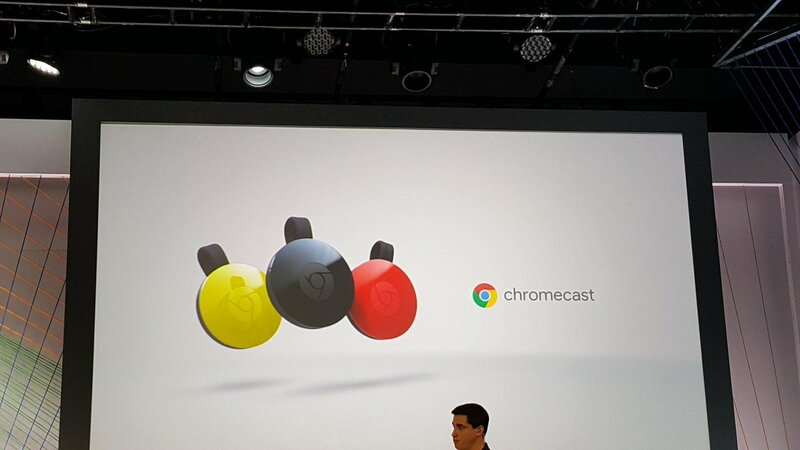 11:49 Now over 20 million Chromecast dongles sold. 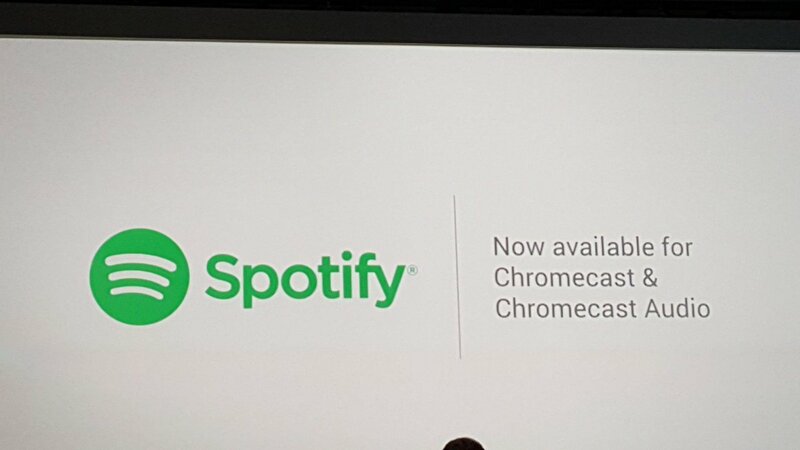 11:45 Now, new from the Chromecast team. 11:45 You will be able to search your library without inadvertently casting your screen. Coming this week to Android. Soon to web and iOS. 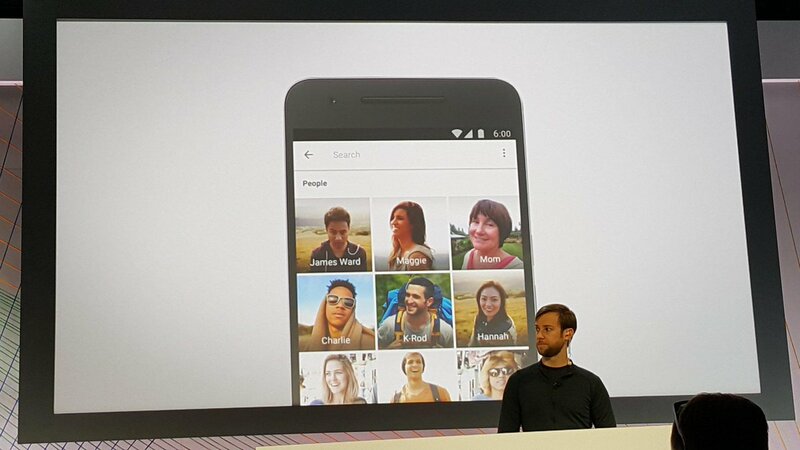 11:44 Google Photos will soon work with Chromecast too. 11:43 You can label pictures that enable more complex searches. Coming to Android this week. Web and iOS to follow. 11:42 Now, addressing the challenge of finding that "one photo" in a sea of pictures. 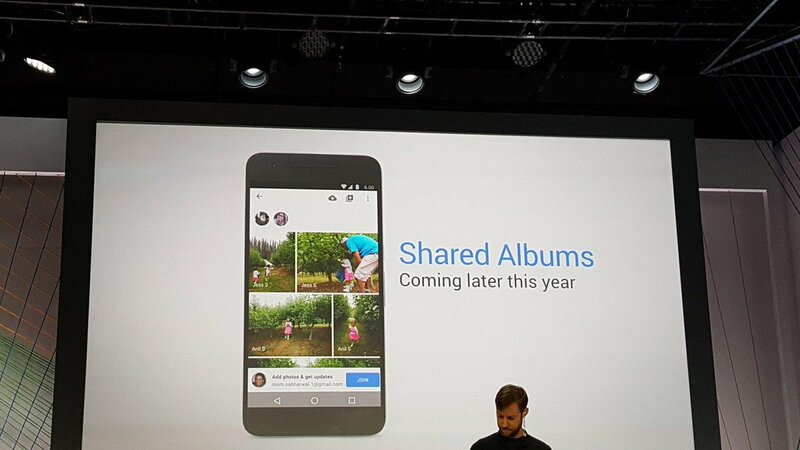 11:39 Google Photos will have a new feature that makes it easier to share from across devices to the same album, and provide real-time notice. 11:36 Now for Google Photos! 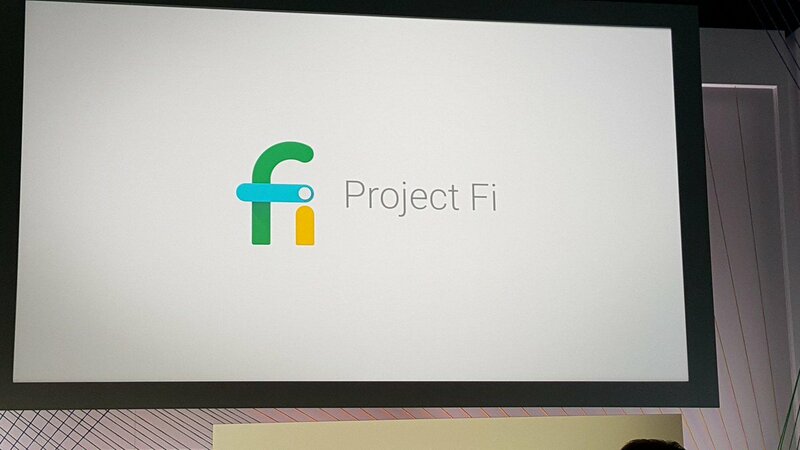 11:36 The Family Plan on Google Play music will be available later this year. 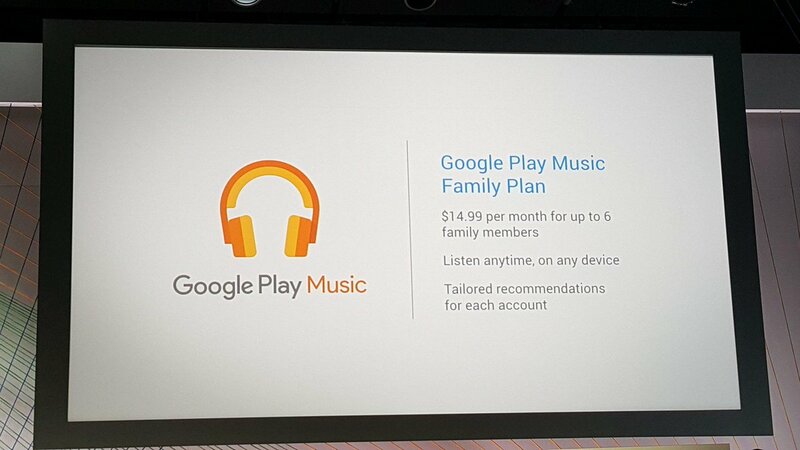 11:35 Google play music family plan. 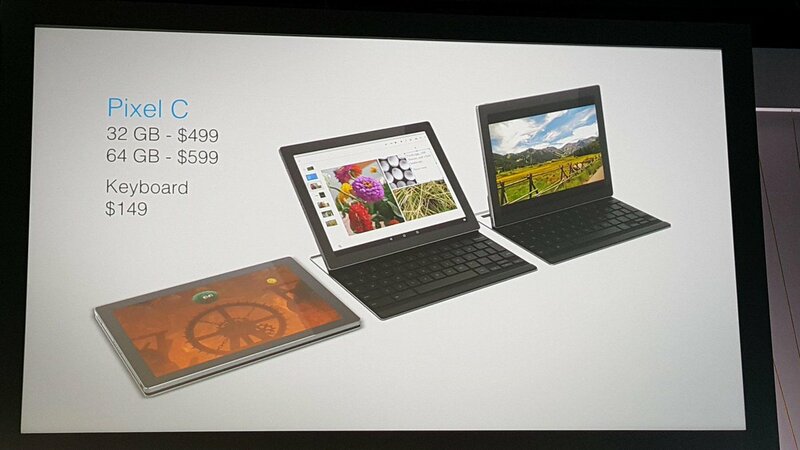 $14.99 per month for up to 6 devices. 11:33 Google Play Music has some new features. 11:33 Now, news from Google Play, and connecting families. 11:30 All come with a 90 days Google Play Music and $50 Google Play credit. 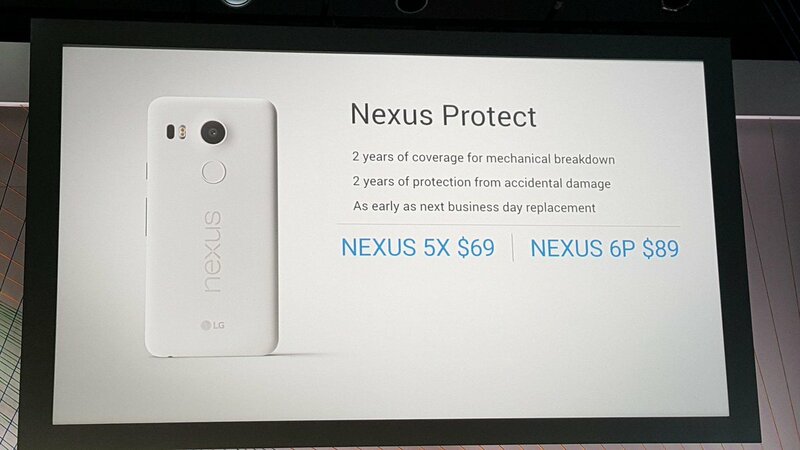 11:30 Nexus Protect a new feature too. If it's using SN810 or SN808 then it's just another fail product. Waste of time and money. Yes cause LG G4 with 808 is such a bad phone. It cannot be 10:00 CT and 10:00 MT. I am sure it is 11:00 CT. I am just waiting to pre-order already lol I'm going to wait to see which one will suit me better. 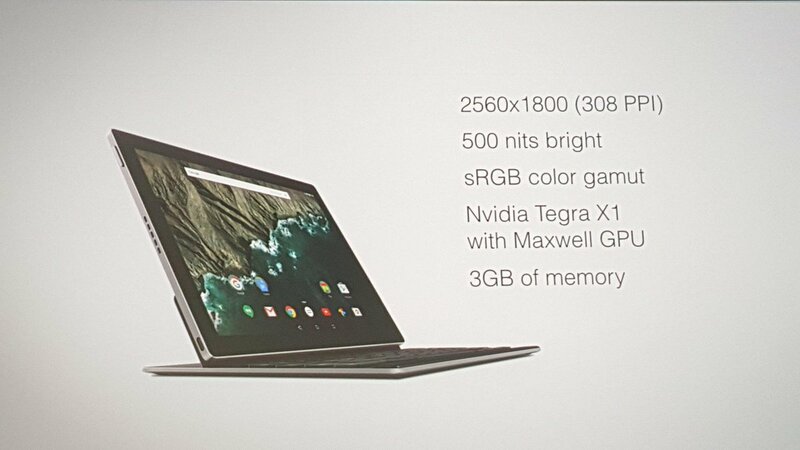 :) I'm getting Nexus 6P !!!! !